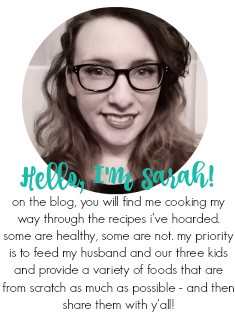 I figured today would be as good as any to just do a simple update. I've been working pretty hard to post on time and regularly. I've been working at regularly updating my Instagram and Facebook page to share my favorite food finds from my fellow bloggers. I do try and share my new posts there too, but it doesn't always happen. Hope y'all have had a wonderful week and hope your weekend is even better! Perfect for a cold night or for when your favorite team is playing, these chili tots are rich in flavor and so tasty! For Super Bowl 2016, I decided I wanted to make something similar to Petro's (I'll link that recipe at the end of the post!) or Frito chili pies because we weren't having a get together or anything like that. I still wanted some type of a game dayesque food. I chose to try this recipe from Amy's blog and went with her garden chili recipe to top it. The chili is quite fabulous. It has red wine in it and the wine gives it such a bold, rich flavor to it. Plus tatortots and hot dogs! 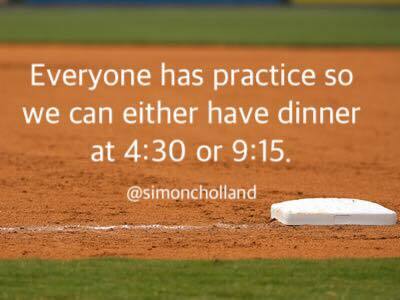 That's good grub! These burgers have thyme caramelized onions sealed between two pieces of cheese and are smothered in garlic mayo...nothing better than that! We have burgers every other Friday (for the most part) and I love to try new recipes every now and then. I tend to stick to very traditional burgers because I am pretty particular with burgers. I like them seasoned with only salt and pepper and then the toppings add extra flavor. I'm not a fan of garlic or Worcestershire sauce in burgers even though I am a garlic-aholic. But I do make an exception on occasion. These yummy burgers do have Worcestershire in them, but a majority of the "oomph" in flavor comes from the caramelized onions and very very delicious garlic mayo. It does take a little bit of time to make because of the process of caramelizing the onions, however, it is all worth it in the end! This week seems like such a variety of proteins and cuisines and it makes me so happy to see that! I love variety :) What are you eating for dinner this week? This citrus chicken and asparagus is perfect for spring -- and it's made in one pan! I am back again for another Sunday Supper event and today's event is CITRUS RECIPES THAT WILL MAKE YOU SMILE hosted by Lisa of Jersey Girl Eats. I chose to share this lovely one pan recipe because not only does it fit the "citrus" bill, but it's also got the yummy springtime veggie, asparagus. Since spring has sprung, I had to share a spring recipe! This lovely one pan dish has crispy, crunchy lemon garlic chicken and roasted asparagus with lemon garlic seasoning. All of it has Parmesan cheese in it. And then it's topped with a honey lemon "sauce", so-to-speak. It's so bright and lovely and I can't help but just love this recipe. This club sandwich has herbed lemony chicken and crunchy potato chips that make it way better than just a regular old club sandwich. Potato chips belong on sandwiches as much as they belong on a plate next to a sandwich! This club sandwich is actually pretty quick to throw together and it has a ton of flavor. It's not just a bland plain old regular sandwich. The lemon and fresh herbs go a long way to really amp up this sandwich. You can use any kind of leafy green - it doesn't have to be lettuce. You can also switch up the fresh herbs, but I went with basil because basil is my lifeblood. Hope you all try this sandwich out...bacon, chicken, lemon, greens, and potato chips are all wonderful together. Turned the awesome classic Philly into a savory delicious soup with hoagie croutons! We're gonna do it right. Soup is a special treat. It is so good to eat. This Minnesota staple gets a spicy makeover with lots of cheese, peppers, and steak instead of ground beef! I say how I am excited for recipes all the time and this Kicked Up Tatortot Hotdish is one I was really really excited to make. Other recipes I was excited about....this was I was more than just excited :) I grew up eating tatortot hotdish on a regular basis because it is Minnesota's thing. This hotdish is made entirely in a cast iron skillet and instead of ground beef, it has sirloin steak. PLUS JALAPENOS. YASSSSS! I'm sorry I just did that, but oh my goodness gracious, all the yasss to jalapenos. I adore the cubed cheese instead of doing shredded cheese. I can't really explain why, but it just really works in this one. Once again, we are going to be enjoying some old favorites for dinner this week. I don't think I've mentioned yet that I have recipes for the rest of the year planned out to post and those aren't even all the new recipes I tried in 2016, so I am allowing myself to make more old favorites in lieu of making new ones...even though the amount of new recipes I have saved is a large number. Anyways, what are y'all eating this week? These Alfredo Scalloped Potatoes take scalloped potatoes to a whole new level - they are perfect for an Easter side or a spring main dish! Hello, friends! It has been such a long time since I have participated in a Sunday Supper event (since November - wow!! ), but I am back for today's EASY SPRING DISHES event. It is hosted by Anne of Simple and Savory. Spring makes me think of not only lemon and asparagus, but HAM. Maybe that's because of Easter, but oh my goodness, give me all the ham, please!! This recipe is something I never would have tried years ago because I didn't like alfredo. Now that I love alfredo, I thought it sounded like the perfect thing to put into scalloped potatoes to make them rich and creamy. I was on point with that assessment. This would be a great side dish for Easter, but is also a wonderful main dish recipe because if you do have a bigger portion, it is filling. I love that it also has a veggie in it! The scalloped potatoes I grew up on had no veggies and little beef meatballs, so this is quite different from that. The original recipe called for Swiss cheese - I am sure if you love Swiss, it would be great in this. However, no one in my little family likes it, so I subbed in mozzarella and gruyere. 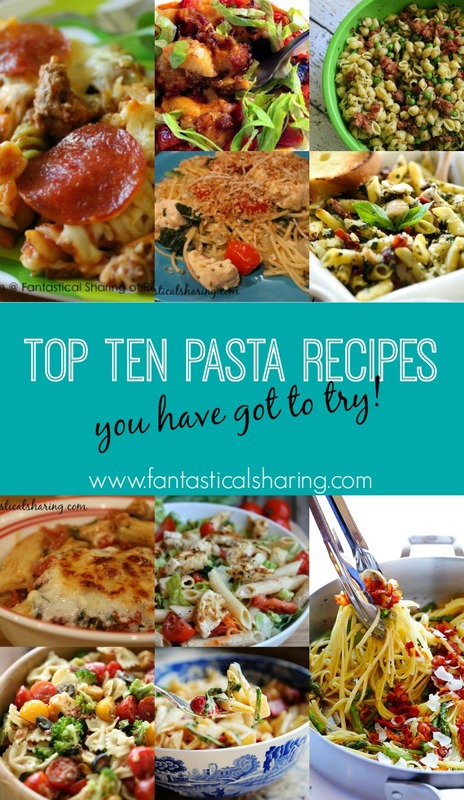 Fantastical Friday: Top Ten Pasta Recipes You Have Got to Try! I love foodie holidays and have been trying to base my Fantastical Friday collections around them. March has a ton of monthly themes - like National Peanut Month and National Caffeine Awareness Month. Today's going to be focused around how March is National Noodle Month. I am a pastaholic. I have no shame in my game. So I'm sharing some of my favorite pasta recipes from my blog and some that I really want to try very soon! This cast iron cornbread is easy to make and has a hint of spice and salty bacon to boot! As a kid, I never liked cornbread...mostly because the only cornbread I had ever had was not homemade and it was dry as all get out. Then my grandma visited us up north in Minnesota and she made delicious cornbread that had me sold on it from that point on. I always forget about it though. I make chili on occasion and that's when I prefer to have cornbread, but I seriously always forget to make it. This particular occasion I remembered and planned to make a spicy bacony skillet cornbread that turned out so deliciously! This month's theme is PB&J -- peanut butter and jelly. Why? Because not only is March National Peanut Month, but it's also National Peanut Lover's Day today! And peanut butter and jelly is such an iconic and classic combination that I thought would fit perfectly. Today, you find recipes containing peanut or peanut butter and fruit (not necessarily jelly or jam). I chose this amazing breakfast parfait that I couldn't get enough of: PB&J Crumble Yogurt Parfait. Technically speaking, it's actually peanut butter crumble yogurt parfait with fruit, but since I did add the fruit, I renamed it PB&J Crumble Yogurt Parfait. The peanut butter crumble is fantastic. I could and did eat it by the handful. Nick did too. I have eaten it with fresh fruit (the first picture) and frozen fruit that had been slightly heated up. Everything about these parfaits makes me such a happy camper. But I cannot wait to see what other pb&j treats my blogging pals have to share! A deliciously filling comfort meal with a little heat added to the cabbage and kielbasa that are served over the top of the mashed potatoes. Looking forward to tonight's dinner so much and I will get to use my spiralizer for the first time on Thursday. What are y'all having for dinner this week? Anything you are really looking forward to? This recipe for quick ragu makes enough sauce for two meals - so eat up half and save the rest! Spaghetti is one of my favorite things in the whole world and I adore trying new recipes like this ragu. Ragu (not the brand) is a meat-based sauce. This one has veggies in it and the meat is turkey, which I also love. I do adore ground beef for red sauces, but I occasionally like turkey or sausage in red sauce. What is really fantastic about this particular recipe is that it is quick and can be made in under 30 minutes -- and you only use half of the ragu for the meal. That means you have a whole other half a recipe of ragu to use for whatever you would like. So I, of course, used my extra ragu for lunch throughout the week with some pasta I had in the pantry. I don't know how it ended up this way, but this week, we are eating all the best foods -- at least of the ones we have already tried before (fajitas, soup, popcorn chicken, and pot roast). We are also celebrating my oldest kiddo's birthday on Saturday with some pizza and cake! I am sort of in denial because Matthew turns 10 :'( What are y'all having to eat this week? Leave me links to recipes if you have them! 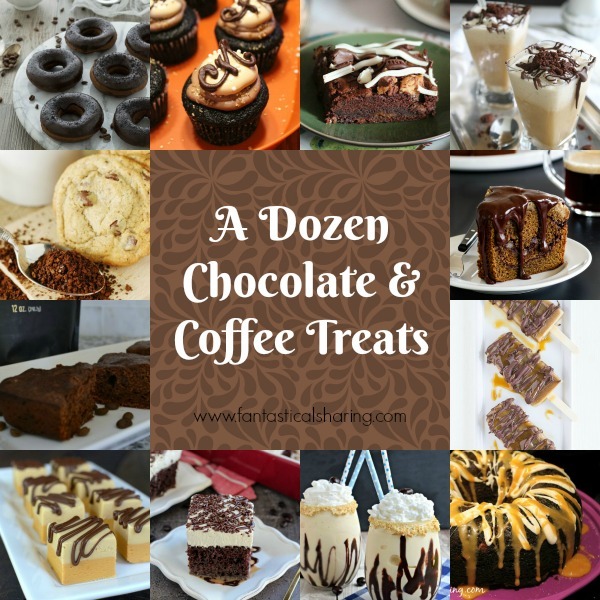 March is National Caffeine Awareness Month and I thought it would be wonderful to do a roundup of some coffee and chocolate treats. So let's get right into these treats!! This meatless corn soup is simple yet really yummy! I feel like I have posted a million and a half corn soup recipes lately, but it's been one of my favorite things to eat for our weekly soup night. I also feel like I don't eat corn often or nearly as often as I used to, so I make up for that with a soup chock full of corn.